Skills Publishing has taken over the distribution of the wide range of plans previously available through U-Build and You Can Make It. Need the services of a mobile sawmill for that tree you just cut down? All indicated prices are in Australian Dollars and include GST. 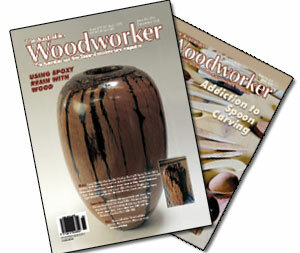 The Australian Woodworker is Australia's most popular woodworking magazine. 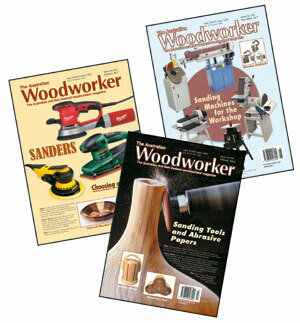 An in-depth informative series of articles on sanding — portable sanding power tools, workshop sanding machines, hand sanding, sanding attachments and sanding materials — recently appeared in issues #195, #196 and #197 of The Australian Woodworker. If you missed out on this series, they can be purchased for $12 for the set of three including postage within Australia. Issues 1 to 96 have been scanned from original magazines. Issues 97 to 200 have been created from the original digital files. Issues have been saved in PDF format and are searchable. Also included is an index of the contents of issues 1-200. USB 3 drives are compatible with older USB 1 & 2 ports. Data transfer using a USB 3 port is up to 10x faster than USB 2 port. Sample PDFs of Issues 1, 19, 50, 100 and 150 are available for download.